Scared of gluten-free veggie burgers? Think they can’t match up to their meaty counterparts? 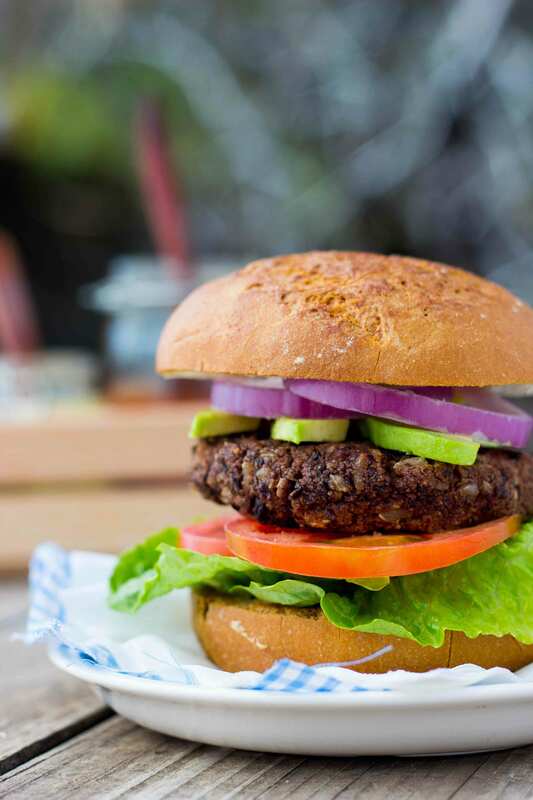 Try these veggie burgers made with black beans and southwestern spices to push your health and taste boundaries. In a large bowl, mix all veggie burger ingredients except the olive oil and buns. Season with salt and pepper. Place the mixture into a food processor and process for about 30 seconds, occasionally scraping down the sides. You want the mixture to be slightly chunky so it is OK if the ingredients on the top don’t blend together completely. Dump mixture back into the large bowl and mix with your hands to make sure everything is evenly combined. Form 6 patties and place them on a baking sheet lined with wax paper. Refrigerate patties for at least an hour. They can be refrigerated for up to 5 days. Heat the grill to medium hat. Brush each black bean burger patty with olive oil and place on the grill, oiled side down. Brush the top of the burgers with olive oil. Grill for 5 minutes on each side, flipping gently. Remove the burgers from grill and put them in the buns with the desired toppings. Nutrition Analysis: 470 cal, 17 g fat, 0 mg chol, 20 mg sodium, 71 g carbs, 9 g fiber, 4 g sugar, 10 g protein.